The looks of the Porsche Panamera split us up like nothing else did. Some thought it was gorgeous. Some thought it was ugly. Personally, I thought it looked like an eggplant. But the new Panamera is prettier than ever, nearly perfect—until today, when we saw the 2018 Porsche Panamera Sport Turismo sport wagon. It is blowing my goddamn mind, it’s so gorgeous. There will be five different versions of it: Panamera 4, 4S, 4S Diesel, 4 E-Hybrid and Turbo. It has an adaptive roof spoiler. Adaptive! Roof spoiler! On a wagon! 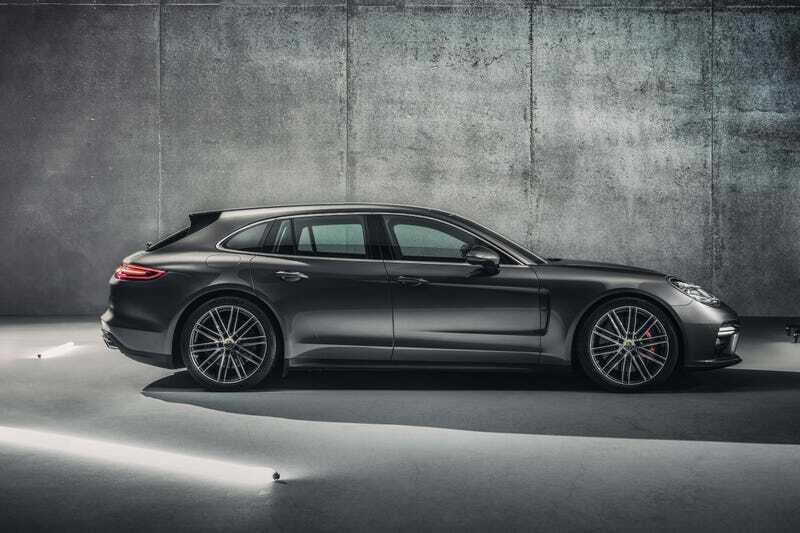 And if you were annoyed that you could only seat two people in the back of your Panamera, the Sport Turismo does away with that problem—you can now seat three. It’s unheard of! Porsche says that the European market launch is scheduled for Oct., with other markets following in early Nov. 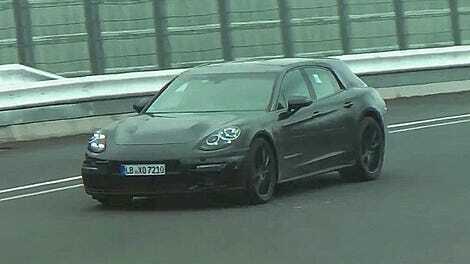 It is unclear if the Sport Turismo will come stateside, so you all should beg and scream at Porsche until it does. Meanwhile, we’ve emailed Porsche for comment and will update if we hear back. The MY18 Panamera Sport Turismo models are expected to arrive in the United States at the end of 2017. Prices will start at $96,200 for the Panamera 4 Sport Turismo, $104,000 for the Panamera 4 E-Hybrid Sport Turismo, $109,200 for the Panamera 4S Sport Turismo, and $154,000 for the Panamera Turbo Sport Turismo, excluding the $1,050 delivery, processing, and handling fee.